Open up a world of privileges with your Citibank Debit and ATM Card. From no-fee ATM withdrawals at Citibank network worldwide to accessing exclusive deals, you can enjoy the convenience of banking with Citibank. Plus, your card is now PIN and Contactless enabled for added security. Whether you authorise payments with a 6-digit Personal Identification Number (PIN) or make contactless transactions with your debit card, you will enjoy the convenience and protection you expect. Apply for a Citibank Debit and ATM Card today. Pay for your everyday purchases quickly and safely from your Citibank Checking or Savings Account with just a tap of your contactless enabled Citibank Debit and ATM Card. It can also be used at Point-of-Sale terminals by keying in your 6-digit PIN or online with 3D Secure authentication. Keep track of your expenses via your e-Statement on Citibank Online. Your monthly bank statement records all of your purchases, making it easier to manage your expenses. You can also sign up for Citi Alert to receive SMS alerts when there is a transaction on your Citibank Debit and ATM Card. Withdraw cash with no-fee at more than 42,000 local and overseas Citibank ATM network. Cash withdrawals are debited directly from your Checking or Savings Account. Gain access to exclusive social events and a host of lifestyle and shopping benefits. Enjoy peace-of-mind with robust security features on your Citibank Debit and ATM Card. See below for details. Activation can be done instantly and conveniently at any time of the day via SMS, Citibank Online and Citi Mobile. A missing card can be quickly deactivated, with a replacement card sent within 5 to 7 working days. The EMV-Dynamic Data Authentication Smart Chip makes the card more secure and protects you from potential identity theft and card skimming / card cloning activities. Citi Alerts: Get SMS or email alerts anytime there is a transaction on your card. To enrol, login to Citibank Online. Citibank Online and Citi Mobile: Track your account balances and transactions easily. Tap on "Activate your card" link. Enter your Debit Card number. Enter your 6 digit ATM PIN. If you are a registered mobile token user, kindly enter your unlock code else enter the SMS OTP send to the registered mobile phone number. Tap on "Activate Card" link. Login to www.citibank.com.my. For first time users, click on 'Register'. Sign in and click on 'Services' and select 'My Profile'. Select 'Card Activation' and input One Time PIN (OTP). Select the card to be activated. Enter your 6-digit PIN and confirm it. Call Card Activation and PIN Creation Hotline @ 03-23830011 03-23830011. Text ACT<space><last 4 digits of card no> to 36700. Example: If your card number ends with '4653' then SMS 'ACT 4653' to 36700. Activate your card at a Citibank ATM or any ATM that carries a MEPS, Mastercard / Cirrus / Maestro or VISA / PLUS logo. If your card is a replacement card, your 6-digit PIN will be the same as your existing PIN. 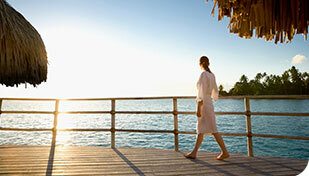 Explore exclusive deals and unique experiences in more than 40 destinations. Find out more at www.priceless.com. Enjoy preferential treatment and great discounts at more than 25,000 establishments worldwide, which ranges from dining, shopping, right down to entertainment anywhere, anytime. For latest updates, login to: www.citiworldprivileges.com. Click on to expand and on to minimise. Contactless is a fast, easy and convenient way to pay and lets you make everyday purchases quickly and safely with just a tap of your contactless enabled card wherever you see the universal contactless symbol. How does my Debit Card contactless work? The contactless functionality consists of an embedded computer chip with an antenna that sends the transaction signal wirelessly over a small distance without direct contact between the merchant terminal and the contactless card. In order to make a payment you simply need to tap your card with a contactless interface to the terminal reader when prompted. No PIN or signature is required for contactless transactions up to RM250 in Malaysia. 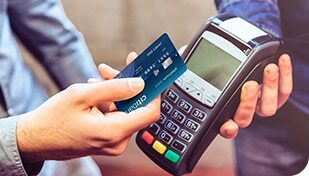 How do I activate my contactless function on the Debit Card? Contactless function will be enabled when you perform your first 6-digit PIN transaction. Alternatively, you may also call CitiPhone to activate it. What is the maximum transaction limit for the contactless function on Debit Card? No PIN is required for contactless transactions up to RM250. The cumulative limit for contactless transactions is RM750 or 5 contactless transactions per day. For transactions above RM250, cardholders are required to enter PIN. Can I disable the contactless function or lower the contactless limit per transaction? Yes. You may turn off the contactless function or lower the contactless limit by calling CitiPhone or by visiting any Citibank branches. These Terms and Conditions govern the use of Citibank DEBIT & ATM Card ("the Card") which are to be read together with the relevant Account Terms and Conditions, as well as the rules and regulations and any other rules and regulations binding on Citibank Berhad, Malaysia ("the Bank"). "Account(s)" means any and all of the Cardholder's account opened and maintained with the Bank, including but not limited to the Designated Account as the case may be (whether alone or jointly with any other person(s) and whether current, deposit, loan or otherwise). "ATM" means automated teller machine or card operated machine, whether belonging to the Bank or other participating banks or financial institutions or to the Mastercard network or their affiliated networks, in respect of which the Bank has a subsisting arrangement to allow the Cardholder to use the Card at such machine. "Cardholder" means a customer of the Bank to whom the Card has been issued. "Debit Transaction" means a Transaction effected under the Mastercard name, mark and logo through the use of the Card with or without a PIN and accompanied by the Cardholder's signature except that in the case of self serve terminals, such as petrol kiosk and internet terminals, the Cardholder's signature is not required. "Designated Account" means the Account designated by the Cardholder (and which the designation has been approved by the Bank) for the time being for the purpose of carrying out the Debit Transactions. "Held Balance" means at any time the total amount estimated by the Bank to be the amount of any and all the Debit transactions effected or proposed to be effected on the Card, but which have not been debited from the Designated Account. "PIN" means the personal identification number of the Card, which shall be allocated by the Bank to the Cardholder upon the Cardholder's request to utilize the Card. "Transaction" means any and all banking transaction effected through the use of the Card and/or PIN and shall include but not limited to, withdrawal of cash, purchase, payment, fund transfer, balance inquiry, deposit of cash and cheque, settlement of bills and any other electronic banking service as the Bank shall offer or introduce from time to time (whether via ATM, Point-of- Sale (POS) terminal, internet transaction or such other terminals or channels that is available to the Cardholder). For the avoidance of doubt, the term "Transaction" shall include "Debit Transactions". "Transaction Limits" means the relevant maximum accumulated daily limit permitted by the Bank, and communicated to the Cardholder by the Bank from time to time in respect of each type of Transaction that may be available to the Cardholder respectively. "Validity Date" means the expiry date of the Card as printed on the Card. "Mastercard" means Mastercard International Incorporated, a company incorporated in the State of Delaware with its registered address at 2000 Purchase Street Purchase, NY 10577-2509 of which we are a member (or a member of its undersigned affiliate) and includes its successors in title and assigns.. The Card shall remain the property of the Bank at all times and the Cardholder shall surrender the Card to the Bank immediately upon its demand. The Card may only be used subject to the conditions of use imposed by the Bank from time to time, the applicable laws of Malaysia and the rules and regulations imposed by the regulatory authorities of Malaysia. Upon the Cardholder opening an account at any of the Bank's branches in Malaysia, the Cardholder shall, at the Bank's absolute discretion, be issued the Card upon application. The Cardholder shall thereafter validate the Card for use by signing on the signature panel at the back of the Card and select the PIN for the Card. The Cardholder shall not at any time disclose the PIN to anyone to facilitate the use of the Card. The Card is valid only until the Validity Date. Upon the expiry of the Validity Date, the Cardholder shall cut the Card in half and return the destroyed card to the Bank for a new Card, which shall be issued at the sole discretion of the Bank. The Cardholder understands that the Card is not transferable and may not be used by any other person. The Cardholder shall not use or attempt to use the Card unless there are sufficient funds in the Account(s). Further, the usage of the Card is subject to the Transaction Limits that may be imposed on the Card. In the event that any Transaction should exceed the relevant Transaction Limit, the Bank reserves the right to reject the Transaction. If for any reason the Designated Account is overdrawn, the Cardholder shall, on demand by the Bank, make good the amount overdrawn plus any interest thereon which shall be calculated on the interest rates prescribed by the Bank from time to time for overdraft facilities granted by the Bank. Notwithstanding the foregoing, in the event that the Bank has granted an overdraft facility to the Cardholder which is linked to the Designated Account, then the prevailing terms and conditions with regard to the overdraft facility granted by the Bank to the Cardholder shall apply. The Card must not be used for any unlawful activities, activities which are fraudulent or activities which are or which the Bank believes are prohibited under the terms and conditions as set out in this document or the laws of Malaysia. This prohibition extends to any online betting and/ or gambling activity and/or any business or commercial purpose which are deemed unacceptable by the Bank. In this connection, the Bank does not owe the Cardholder any duty and/or obligation whatsoever to monitor and block the use of the Card for any prohibited activity, although the Bank shall be entitled to block authorization for the use of the Card for such activities, if the Bank chooses to do so at any time. If the Bank does find or suspect that the Card has been used for any prohibited activity, the Bank shall be entitled to immediately terminate the use of the Card without prior notice to the Cardholder. The Cardholder may request the Bank to change any of the Transaction Limits to a lower limit but the Bank is under no obligation to agree to the Cardholder's request. Changes toany of the Transaction Limits shall be subject always to such other terms and conditions that may be imposed by the Bank from time to time. Further to the above, the Bank also reserves its rights to vary any of the Transaction Limits at any time and from time to time at its sole and absolute discretion without assigning any reason therefore and the Cardholder shall be notified of the variation in any form or method as the Bank may prescribe. The Cardholder shall in all circumstances accept full responsibility for all Transactions processed by the use of the Card, whether or not processed with the Cardholder's knowledge, acquiescence, or authority. The Cardholder hereby authorize the Bank to debit the Cardholder's account with the amount of any payment, purchase, withdrawal of cash or transfer of funds effected with the Card in accordance with the Bank's record of transactions. Debit Transactions shall be deemed to be cash withdrawal transactions and the Cardholder hereby authorize the Bank to debit his Designated Account for the total amount of any payment, purchase, withdrawal of cash or transfer of funds performed using the Card in accordance with the Bank's record of transactions. such other relevant terms and conditions that the Bank and/or the relevant merchant may impose at their sole and absolute discretion from time to time. In addition to the interests, charges and fees which the Bank may levy in connection with the Accounts, the Cardholder is liable to pay such other interest, charges and fees at such rates and amounts and on such basis as the Bank may, in its sole discretion, prescribe from time to time without notice to the Cardholder in connection with the issued and/or use of the Card. The Bank may assign a Held Balance for the purpose of any Debit Transaction proposed to be effected on the Card. The amount of such Held Balance and period that such Held Balance may be maintained shall be determined by the Bank at its absolute discretion. The Bank may at its sole discretion debit the Designated Account with the amount of the Held Balance (or any part thereof) whether or not such amount represents the Debit Transaction. If the Bank debits any amount from the Designated Account as aforesaid and the Bank subsequently determines that such amount (or any part thereof) ought not to be so debited, the Bank will re-credit such sum to the Designated Account (free of interest). make a police report in the country where the event occurred and send the Bank a written confirmation of such event within three (3) days after having notified the Bank and made a police report, whenever required. The Cardholder shall remain liable in respect of Transactions effected with the Card before such notice reaches the Bank provided always that in cases where the Bank, in its sole and absolute opinion, believes that the Cardholder has acted fraudulently or dishonestly in using the Card or in causing the loss or theft of the Card or the disclosure of the PIN, the Cardholder shall be liable to the Bank in respect of all Transactions effected with the Card and for all losses, costs, expenses and damages suffered or incurred by the Bank as a result of the fraudulent or dishonest act notwithstanding the fact that the Cardholder has reported the incident in accordance with this condition and shall indemnify and keep the Bank indemnified from all such losses, costs, expenses and damages. When a lost or stolen Card is found, the Cardholder shall not use the Card so retrieved but shall immediately cut the Card in half and return the destroyed card to the Bank. The Bank is under no obligation to issue a replacement card or a new PIN. The Cardholder agrees that all Transactions arising from the use of the Card in respect of a joint account shall be binding on all the joint account holders, jointly and severally, whether or not such Transactions were entered into with the knowledge, acquiescence or authority of any of the other joint account holders. The Cardholder accepts the Bank's record of Transactions effected with the Card as correct save and except for manifest error and it shall be binding and conclusive evidence of such Transactions. The issuance of the Card does not imply any obligation on the Bank's part that the Card will be honored. In the event that there is a dispute arising from or in connection with any Transaction, the Bank shall not be obligated to entertain such dispute. If the Bank decides at its absolute discretion to entertain such dispute, reversal of the Transaction (if any) shall only take place at upon completion of the investigations into the dispute. The Bank may at any time by prior written notice to the Cardholder vary, add to or amend these terms and conditions and the Cardholder hereby agrees to be bound by any such variation, addition, deletion and amendment. Such notice shall be deemed to be effective on the date stated therein and shall be dispatched by ordinary post and shall be deemed to be received by the Cardholder whether or not the Cardholder receives the notice. The Cardholder shall return (whether formally demanded or not) the Card to the Bank for cancellation in the event of the Cardholder no longer requiring the Card or if the Card shall be withdrawn by the Bank for any reason whatsoever or if the Bank at its absolute discretion and without assigning any reason cancels the Card by giving a notice in writing to the Cardholder. The Cardholder agrees not to hold the Bank liable, responsible or accountable in any way whatsoever by reason of any loss, damage, or injury howsoever caused or if the Card is not honored, due to any mechanical defect or malfunction of any ATM, POS terminal, internet network or such other terminals or channels that is available to the Cardholder or due to a loss or interruption of power supply. The Bank shall not be held liable for any act or omission by any merchant accepting the Card howsoever caused, including but not limited to, any refusal to accept the Card, or any statement or other communication made in connection therewith, or any defect or deficiency in goods or services. The Cardholder must liaise directly with the merchant on any claim or dispute and will not dispute any payment made by the Bank from the Cardholder's Account on such claims or dispute. The terms and conditions governing and regulating the Account of the Cardholder with the Bank, in so far as they are not inconsistent with the terms and conditions herein, shall apply to transactions effected with the use of the Card. The Cardholder acknowledges that the balance reflected on the ATM screens, the internet or such other terminals or channels that is available to the Cardholder shall not include deposits which have not been verified by the Bank and cheques issued by the Cardholder which have not been processed by the Bank. The balance reflected on the ATM screen, the internet or such other terminals or channels that are available to the Cardholder shall not be taken as conclusive of the state of the Cardholder's account. Any renewal or replacement of the Card shall be subject to charges and fees that may be imposed by the Bank from time to time and such other the terms and conditions prevailing at that time. The Cardholder acknowledges that the Bank may, at its absolute discretion, grant to the Cardholder a "Card link" ("the Link"). 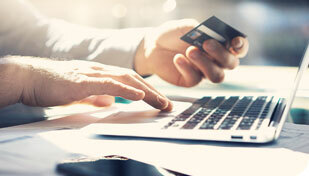 If the Link has been so granted, the Card may be used to effect transactions relating to such accounts opened by the Cardholder as may be determined by the Bank. Where new accounts are opened by the Cardholder subsequent to the grant of the Link, the Bank may, at its absolute discretion, grant an extension of the Link to such new accounts. A Cardholder shall only be issued with one Card at any one time, subject to the Bank's absolute discretion to issue more than one Card to a Cardholder as it deems fit. Where a Cardholder has been issued more than one Card, the Bank has the right to cancel any cards as the Bank may determine and the Cardholder shall surrender such Card to the Bank. any change in law, regulation or official directive which has an effect on the Card and/or these Terms and Conditions and the same may be debited from any of the Account and/or shall be paid by the Cardholder on demand. The terms used herein shall have the same meanings as the terms defined in the DEBIT & ATM Card Service Terms and Conditions, unless the context specifies otherwise. In connection with the use of the Card, the Cardholder acknowledges that Citibank N.A. would have to make arrangements on behalf of the Bank for transaction data to be collected, stored and communicated for processing. Such processing may include identifying account balance information and will, in whole or in part, be performed electronically on behalf of the Bank by other entities either in the country where the Cardholder used the ATM or elsewhere. to the retention of such information and data by the said participants and processors in the Citishare network with laws and regulations governing change control, disclosure of information and such other areas to which such participants and processors are subject. Where the Card is used outside Malaysia, the transaction shall be charged in the official currency of the country concerned and converted into Ringgit Malaysia at such exchange rate and at such time as may be determined by Mastercard or the Bank at its absolute discretion. The Cardholder shall bear all exchange risks, losses, commission, fees and charges which may thereby arise. All Transactions made outside Malaysia overseas shall be subject to these Terms and Conditions as well as those laws existing in the country where the Transactions originate. The Bank may at any time without notice suspend or terminate the Cardholder's ability to use the Card at any Citibank ATMs or non-Citibank ATMs or authorized merchants outside Malaysia and the Bank shall not be liable to the Cardholder for any loss or damage suffered by the Cardholder resulting in any way from such suspension or termination. The Cardholder shall pay to the Bank all fees and charges which are or may be imposed or incurred by the Bank from time to time in connection with the Cardholder's use of the Card at ATMs or any authorized merchant offering the International Card Service and in this respect, the Bank shall be entitled to debit any of the Account(s) of the Cardholder for such amounts.